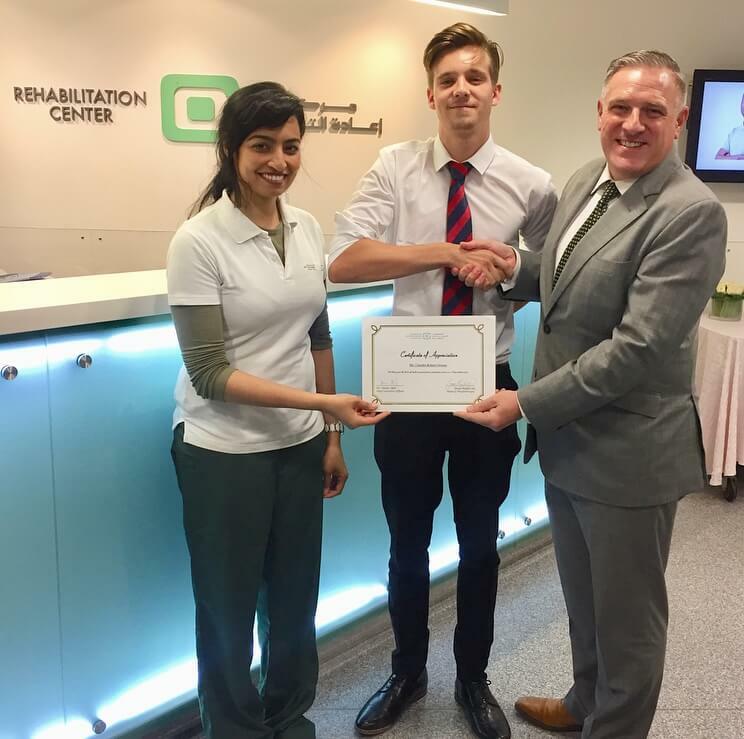 During the summer break, Charlie Sissons in Year 13 was fortunate enough to be offered a short internship as a Physiotherapist at the German Orthopaedic Hospital. With an ambition to train as a physiotherapist and a keen interest in sports-related injuries, Charlie joined the staff at the hospital on several occasions throughout the summer holidays. Charlie worked under the Head of Physiotherapy and Rehabilitation, Ms. Eman Monfaridy and was introduced to various types of treatment techniques, patient assessments and manipulations in addition to being given the opportunity to practice techniques such as kinesio-taping on willing members of the physiotherapy staff. Charlie also experienced physiotherapy from both an inpatient and an outpatient perspective. 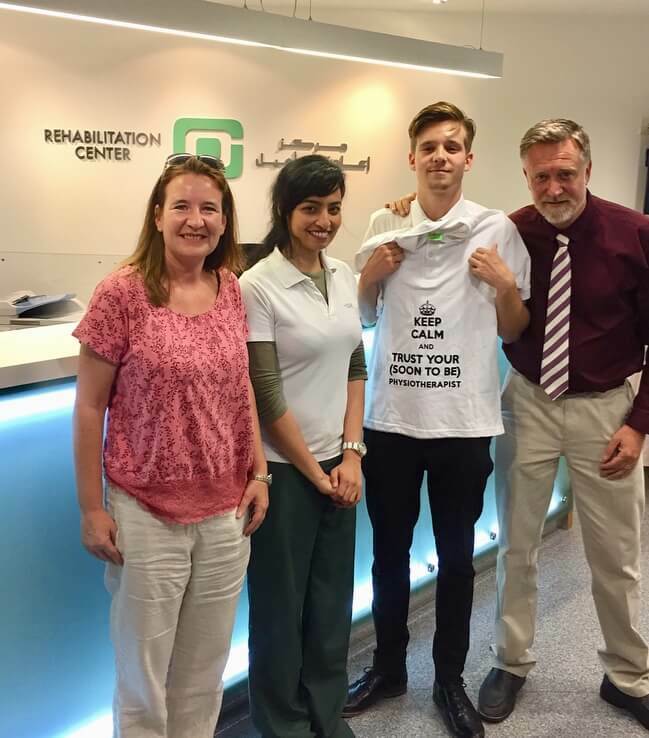 At the end of his work experience, the German Orthopaedic Hospital presented Charlie with a certificate of appreciation and, to coincide with World Physical Therapy Day – a gift of a polo shirt. For his part, the staff at the hospital described Charlie as an exemplary student who studied diligently and took copious notes relating to all the cases and techniques he was exposed to. They went on to say that they would be delighted to welcome Charlie back for further work experience and extend their best wishes for his future studies and career in Physiotherapy.